Biamp isn’t squandering opportunities to put new products in front of Integrated Systems Europe attendees. At ISE 2019, Biamp is introducing desono Conferencing and Pendant Speakers; Parlé Beamtracking mics and Tesira amps. It also announces that it’s on pace to activate over 3 billion Crowd Mics and expanding capabilities of its SageVue browser-based monitoring and management platform. Biamp, which recently acquired Cambridge Sound Management, has a lot to discuss at its ISE 2019 stand, 3-B120. Biamp says its new desono line of conferencing speakers with an optional AMP-450BP backpack amplifier, furthers its goal to bring high-quality audio to all meeting spaces. 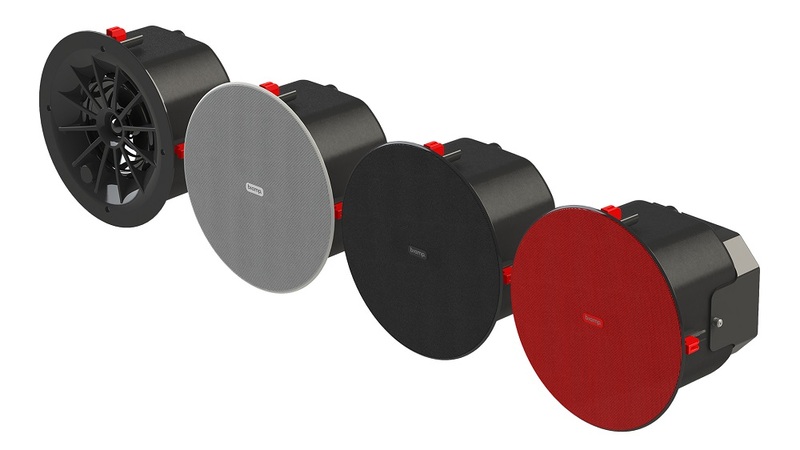 The desono C-IC6 conferencing speakers offer termination-free connections using standard category cables, a removable magnetic grill, and acoustic performance tailored for superior speech reproduction, making them ideally suited for conference rooms, according to Biamp. 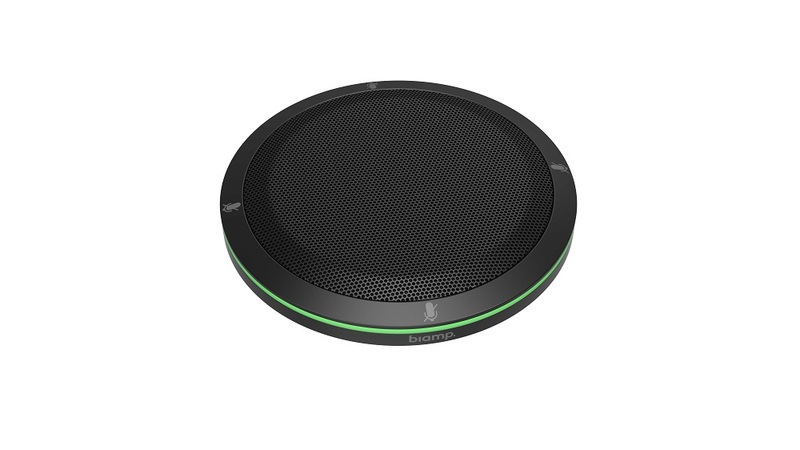 “As a conference room system industry leader, we know how to develop integrated conferencing solutions, from microphones and processors to PoE+ amps and Bluetooth streaming audio,” says Joe Andrulis, executive vice president of corporate development at Biamp. Adding to the simplest installation possible, the desono family of speakers feature dual RJ-45 ports for daisy chaining and standard 4-pin euroblock connectors providing additional flexibility for projects that utilize traditional speaker wiring. The AMP-450BP amplifier is designed with multiple mounting options and can be backpacked onto the speaker, mounted to a wall, or suspended from a Biamp tile bridge. 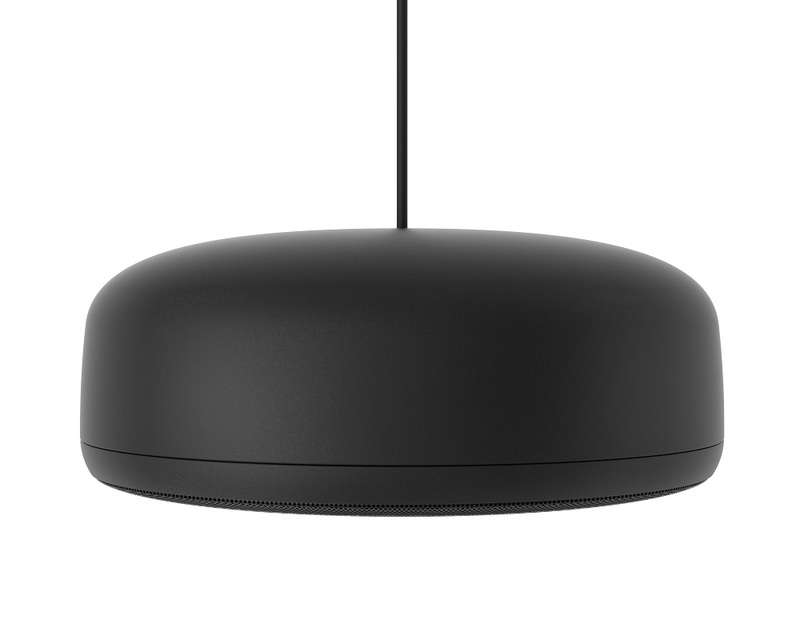 Meanwhile, desono Pendant Speakers, available in two style models P6 and P6-SM, are designed for retail, restaurants, casinos and other applications that require background, foreground music or paging, says Biamp. Paired with new Tesira 1200 series amplifiers (see below for more on those), Biamp says the new models deliver best-in-class audio and the easiest possible installation experience for integrators. When used with Biamp’s innovative new Crowd Mics (more on those below) audience participation system, the new loudspeakers create an engaged audience, enabling presenters to encourage discussion and drive a truly collaborative event, Biamp says. During ISE 2019, Biamp announces that its Tesira conferencing solutions are now certified for use with Hangouts Meet hardware, delivering its solutions to medium and large conference rooms. In addition, Biamp introduces a deployment tool that it says makes configuring a Biamp system for use with Hangouts Meet hardware a fast, simple, and reliable process. More information on Biamp’s Hangouts Meet hardware-certified products can be found at https://www.biamp.com/google. Information on Biamp’s full product portfolio is available at www.biamp.com. 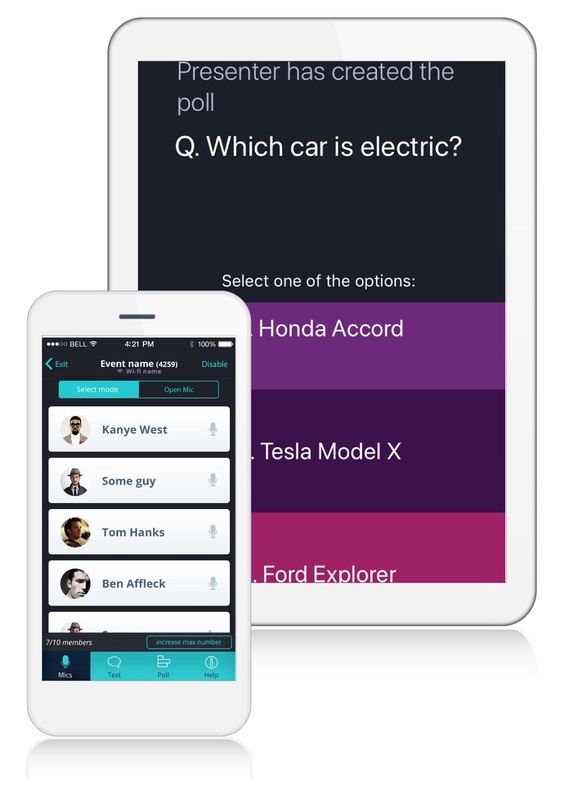 Biamp‘s Crowd Mics audience engagement solution can turn smartphones and tablets into personal microphones and interactive response systems, enhacing experiences for event attendees and moderators alike. During ISE 2019, Biamp is demonstrating its Crowd Mics. 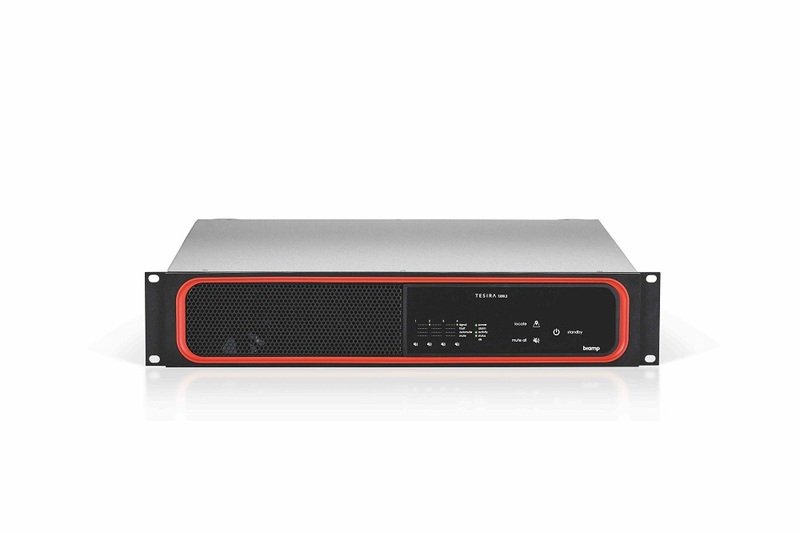 During ISE 2019, Biamp introduces what it calls the first enterprise-ready rack-mounted amplifiers with 100 percent asymmetric power distribution — the only amplifiers that support 802.1X authentication, making them the most secure option on the market, according to the company. During ISE2019, Biamp introduces its new Parlé family of Beamtracking microphones. The new TCM-X ceiling and TTM-X tabletop models join the TCM-1 pendant that each combine industry leading acoustic performance with sleek, attractive designs, providing crystal-clear conferencing with no aesthetic compromises, according to Biamp. Biamp’s patent-pending Beamtracking technology follows meeting participants as they move around the room, ensuring the highest quality voice pick up wherever the person is sitting or standing. They also require zero microphone setup, reducing installation and programming time for integrators, according to the company. The TCM-X is a low-profile, ceiling mounted 6-inch microphone contained within a discrete enclosure that blends subtly into the ceiling. For rooms where a tabletop microphone is desirable, the TTM-X is small enough to fit in the palm of your hand, minimizing the amount of table real estate it occupies. The new Parlé models feature four 90-degree tracking zones delivering dynamic, 360-degree room coverage, and each microphone uses just one channel of acoustic echo cancellation (AEC) for far more efficient processing resource utilization than conventional beamforming models. Biamp’s combination of a termination-free solution, elegant industrial design, advanced Beamtracking technology, and integration of the entire audio signal path — from microphone to speaker — ensures that Tesira conference rooms sound better, look better, and are easier to install than any other system. The addition of the powerful SageVue® management tool makes monitoring and managing deployed systems a familiar and comfortable process for technology managers. The new Parlé Beamtracking microphones will be available Q2 of 2019. More information on Biamp’s full product portfolio is available at www.biamp.com.